Sometimes I get done with a recipe, and I am in awe. This was one of those times. 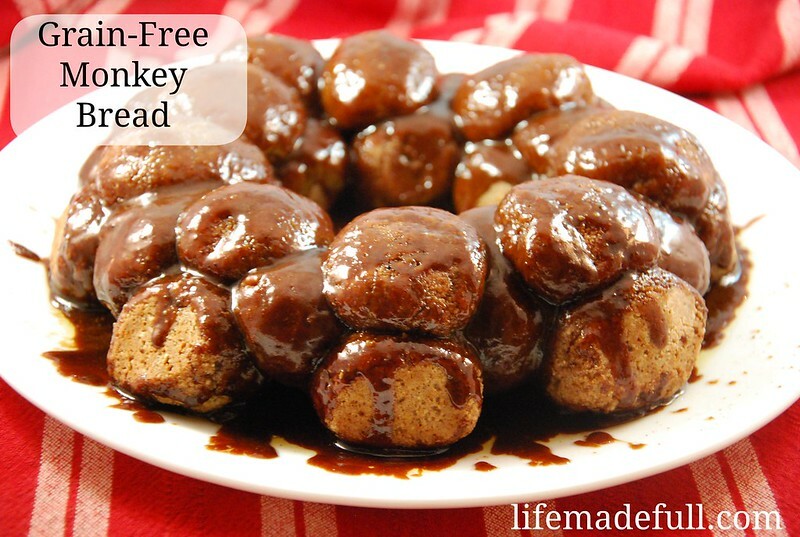 Yay for this Grain Free Monkey Bread! Monkey bread is a Christmas tradition all around the world. If you’re looking for a fun addition to your Christmas breakfast, this would be perfect! Preheat oven to 350 degrees and grease a bundt cake pan with coconut oil. In a saucepan, heat together the “gooey topping” ingredients over medium heat, cooking until well incorporated. Pour into bundt cake pan. Mix together dry ingredients for the monkey bread in a large bowl. In a separate bowl, whisk together the eggs and coconut oil, then stir in the apple cider vinegar. Pour into the dry ingredients and stir to combine. 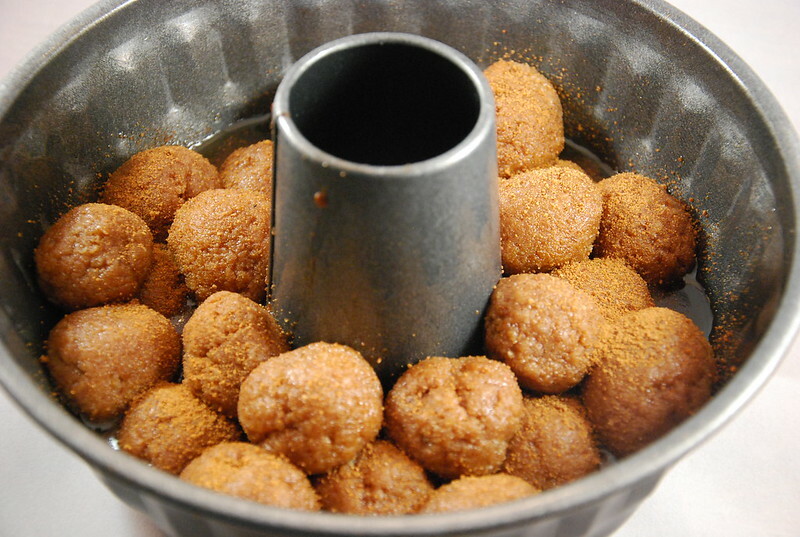 If the dough is still really sticky, sprinkle in some of the extra almond flour until the dough can be rolled into balls. It will still be a little bit sticky, but should be able to be rolled into balls. Sprinkle with the cinnamon topping (coconut sugar and cinnamon) and then place in oven and bake for 15-20 minutes, until toothpick inserted comes out clean. Remove from oven and immediately turn over onto a serving platter. Let cool for 5-10 minutes before serving. 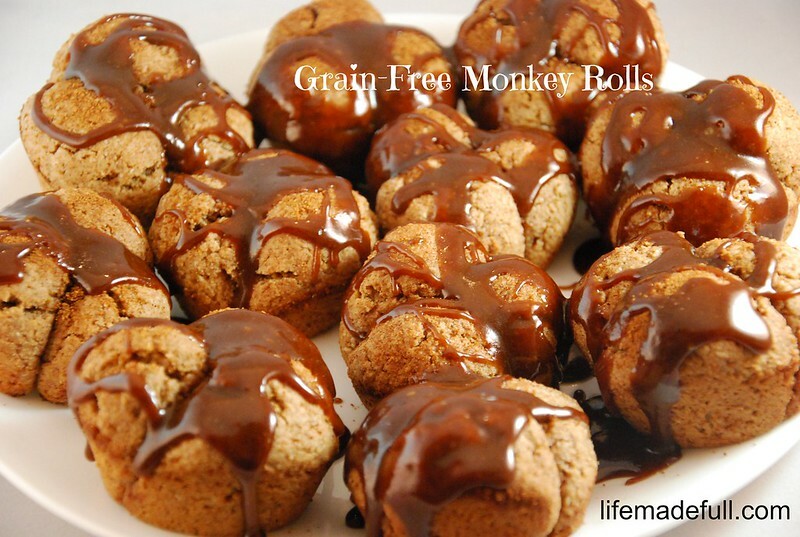 I think it was just yesterday when I was wondering how I could come up with a grain-free monkey bread recipe. You did it for me! Perhaps this will be our Christmas breakfast? Thanks! Excited to make the this Paleo version for our Christmas breakfast! Thank you. What do you mean extra almond flour? That’s not even listed in your recipe! Are you sure you didn’t mean arrowroot? You might want to fix that. All in all the recipe looks good! There are 2.5 cups of almond flour in the recipe, Angie? Hey Angie, there is almond flour listed in this recipe, but it’s ABOVE the advertisement in the content. It took me a second to notice too. But there is definitely almond meal called for.